SHORT HILLS, NJ, April 1, 2019 – The Blau & Berg Company, a prominent commercial real estate brokerage firm in the New Jersey and Tri-State area since 1932, recently brokered the sale of a 2-parcel, 1.6-acre property located at 591 N. Union Avenue, Hillside, NJ, to Solomon Builders. Brad P. Jacobs, Director, and Tamara J. Blau, Director of The Blau & Berg Company jointly represented the landlord and the buyer in the transaction. Solomon Builders, a regional real estate company that specializes in land entitlements, design, construction, asset management and sales, purchased the property due to its ideal location on the 142C off ramp of the Garden State Parkway, offering proximity to I-78, Route 22 and Newark Liberty International Airport. The 1.6-acre lot has daily passing car counts exceeding 250,000. 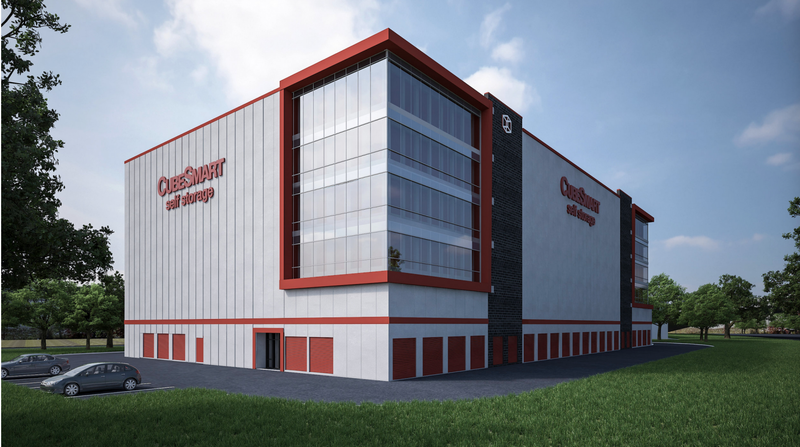 Construction of a 145,000 SF CubeSmart, a modern, Class A self–storage facility, is currently underway on the property.